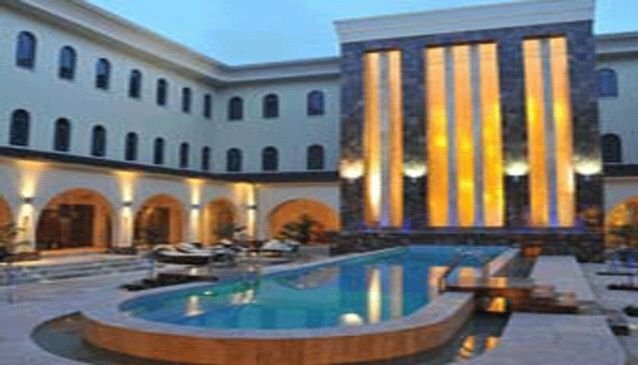 The Impressive Protea Hotel Ikeja, Situated in the Government residential Area of Ikeja, in Lagos, offers guests superb accommodation in a tranquil and safe environment. Our restaurant serves both, continental and Nigerian cuisine and is open for breakfast, lunch and dinner. The bar remains open 24/7, so feel free to relax next to the pool with one of our idyllic cocktails listening to soft sounds of our three storey water feature. For the young at heart, we offer a fully-equipped gymnasium as well as two treatment rooms for those who want to loosen the muscles after a long flight in a more relaxed environment. Protea Hotel Ikeja offers the discerning traveler rooms ranging from Standard rooms to Presidential Suites, all carefully designed with en-suite bathrooms, Wireless Internet access and working desks.